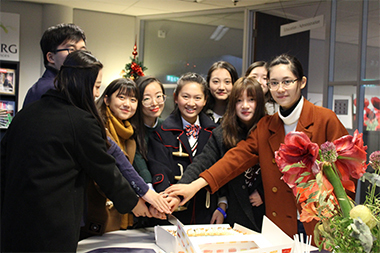 “I don’t want to leave!” Chinese student Zhang Yutong exclaimed, as she and her fellow students from the Shanghai Business School enjoyed their last day at Wittenborg University of Applied Sciences, after a weeklong visit to the Netherlands. 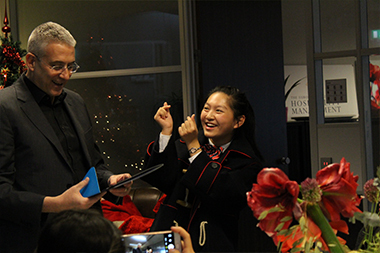 They fly back to Shanghai on Saturday. 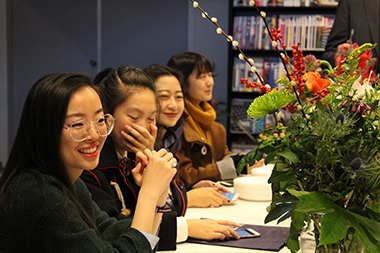 As one of Wittenborg’s education partners, students from the Shanghai Business School get a special scholarship from Wittenborg: a deduction of €2,000 on tuition fee for one of the Master programmes. During their week in the Netherlands, the group visited Wittenborg’s locations in Apeldoorn and Amsterdam, as well as attending lectures and seeing tourist attractions like the royal summer residence, Het Loo Palace. As for Zhang Yutong, she says she will definitely come back.